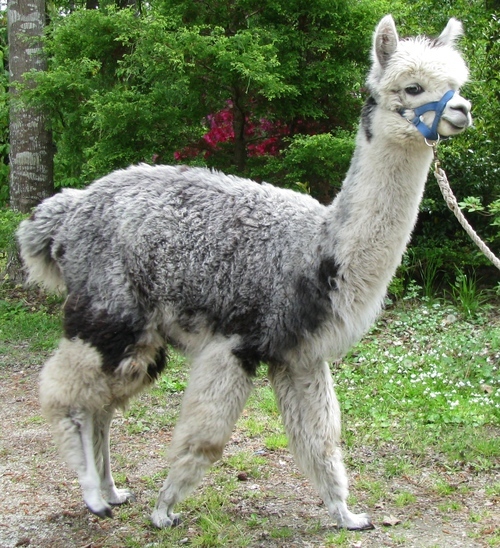 Little Creek Alpacas is a farm located in Havelock, North Carolina owned by Ken and Bunnie Bradley. 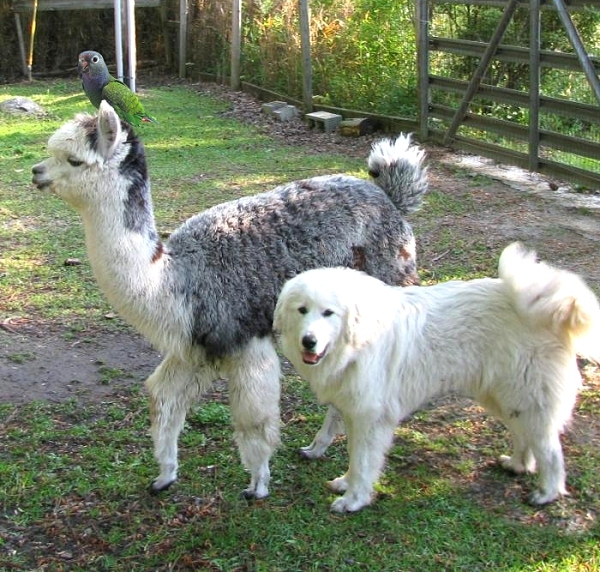 Little Creek Menagerie is an alpaca farm and parrot aviary on the banks of Little Creek which flows into the nearby Neuse River. Our farm is surrounded by majestic Bald Cypress and located near the North Carolina Coast near Morehead City North Carolina. We began our alpaca farm in 2003 with the purchase of a female alpaca bred to one of the finest grey alpacas in the U.S., Aussie Rockford. Since that time we have bred to the finest alpacas to produce our foundation stock. We are still in the process of growing our alpaca herd but do have some young males available for sale. We always enjoy talking with folks interested in alpacas. Let us introduce you to the world of alpaca and alpaca fiber. Little Creek Alpacas began in 2003 with a female bred to Aussie Rockford, a companion llama and a Camilio grandson. We have grown slowly since then adding bloodlines from Pantagonia's Compadre, Snowmass Peruvian Casanova, PPeruvian Royal Fawn, PPeruvian Mr. President, Ppperuvian El Moustacio, 5Peruvian Camelot, among others. We are striving to produce a moderately fine alpaca that sustains a low 20's AFD for at least 5 years. 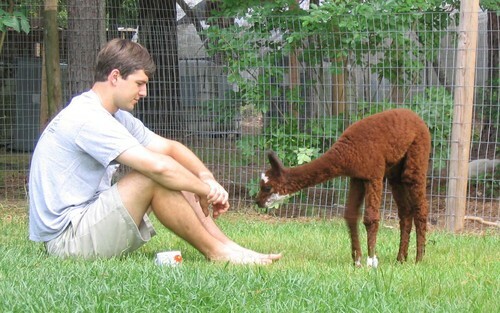 We have now grown to a point where we are able to offer some of our alpacas for sale. Please take a look at our sales list and let us know how we may help expand you herd or advise you on getting started with alpacas. Little Creek parrot aviary produces handfed pet birds for retail and wholesale. We currently have 10 species of parrots in our aviary. We specialize in the quieter parrot species of the genus Pionus, Poicephalus group and African Congo Grey Parrots. But we also keep a few pairs of Bluefront Amazons, Yellownape Amazons, Double yellowhead Amazons and Quaker parrots. We strive to produce well socialized pets. 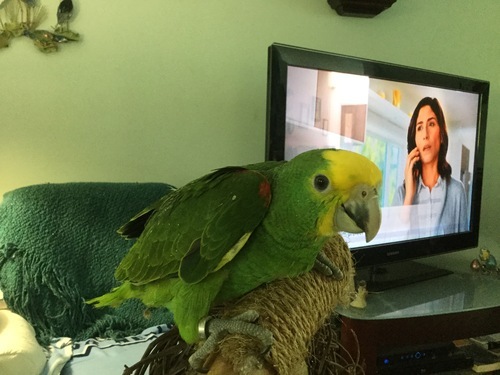 Let us supply your next pet parrot. We keep and highly recommend Great Pyrenees Livestock guard dogs. They keep roaming pet dogs and other potential predators away from our alpacas.